It seems that you cannot go to a trade show, blog or vendor web site without finding some mention or discussion about metrics or performance these days. In order to be successful, we must be able to view performance from both the customer and service provider perspective. We need to have a means of integrating these two views at the expense of neither. - Identify the different layers of performance management and how this influences the design of executive dashboards and reporting. 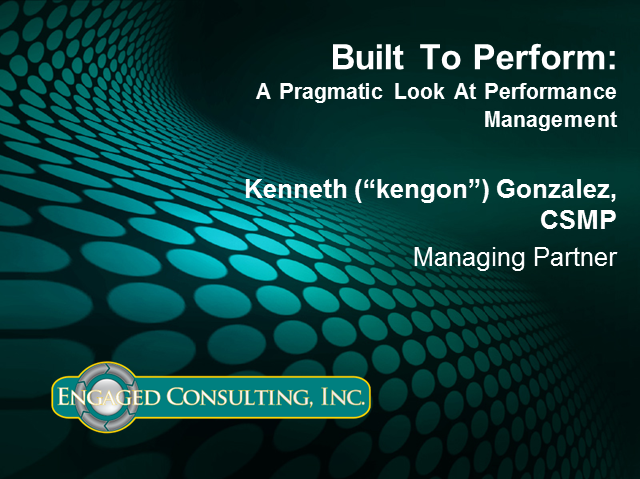 I hope that you’ll be able to join me for this important and timely session on performance management.